AMAZING NEW SOUTH LOOP 1 BR ON 18TH FLOOR IN LUXURY BLDG. KIT HAS 1 1/4" GRANITE, SHAKER STYLE CABS W/CUSTOM HARDWARE, OPN PLAN W/GRANITE BRKFST BAR LEADS INTO LR. CUSTOM LIGHTING IN DR & MB. CUSTOM PAINTED IN MAIN LIV AREA. REC TERRACE. BLDG HAS POOL, 24-HR DOORMAN, BIKE STORAGE, DOG WALK, JOG TRAIL. DEEDED PARKING $35K. WALK TO LAKE, GREAT PARK & LOOP. 1250 S Michigan #1804 Chicago, Illinois 60605 is a condo property, which sold for $299,000. 1250 S Michigan #1804 has 1 bedroom(s) and 1 bath(s). 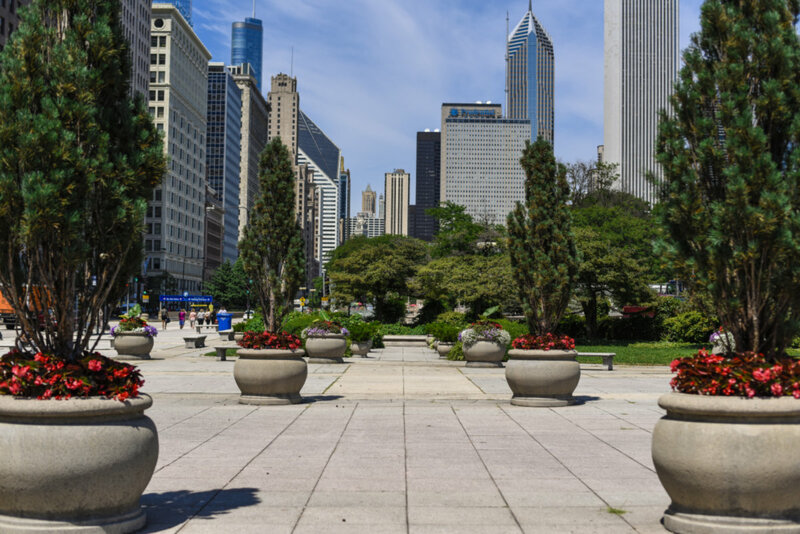 Want to learn more about 1250 S Michigan #1804 Chicago, Illinois 60605? Contact an @properties agent to request more info.